My brother and I grew up in these woods, the woods of Moonachie and Little Ferry, a unique lowland forest habitat where the Muskrat, Box Turtle and Red Fox still roam. Today most children are denied the experiences of the outdoors my brother and I were lucky enough to have experienced growing up. Today habitat has disappeared and the local ponds and woodlands where we once played have vanished. But the Losen Slote (Dutch word for Creek) is still there, very much alive and thriving . 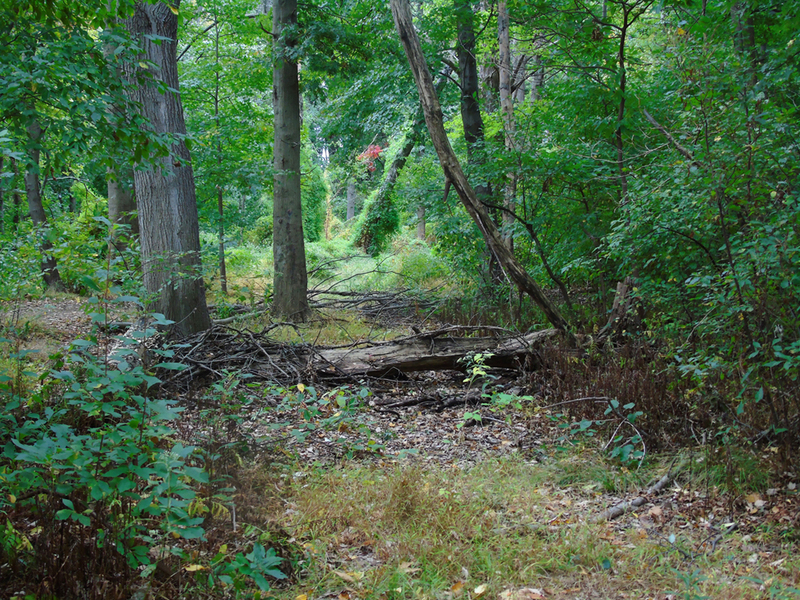 The Slote, a tributary of the Hackensack River, meanders through the park, which is surrounded by Gray Birch and where such birds as Fox Sparrows and Carolina Wrens spend many of their days. It is the last of its kind, still there for all of us to visit, to appreciate and enjoy. I have been lucky enough over the years to help lead field trips to Losen Slote Park. It has been a way to show people in a small way what it was like to grow up here, and why this diverse habitat should be protected. The park has not been without its problems. Some like to point the finger at who is responsible for caring for the park. But I will end the controversy right here and now. I am responsible for the care of Losen Slote Park, and oh yes you are responsible too, and anyone who cares about having such a special place where you can bring your kids, and those who care about our environment, are also responsible for it. My younger brother Todd was my partner. We grew up loving every minute we spent in the Meadowlands . He passed away a few years back at much too young an age. He still walks with me at places like Losen Slote Park. It is a wonderful place, a gem in the middle of suburbia, and it needs to be protected, cherished and looked after. This spring take a walk in the wilderness of Losen Slote. The trails the birds and the flowers are waiting for you. In fact, you can join us this Sunday, May, 1, when the Bergen County Audubon Society leads a free walk at Losen Slote from 10 am to noon. We’ll be looking for warblers and other spring migrants. It will be muddy: Bring boots and bug spray. Losen Slote Park is located at the end of Mehrhof Road in Little Ferry. For directions, click here (will link to google map). For more information, email greatauk4@gmail.com or call 201-230-4983.